The Canadian Sociological Association conference highlights current issues from a sociological perspective. Expect scholarly debates on a variety of topics ranging from the theoretical to the political. The following list of plenaries are scheduled for Congress 2019 at University of British Columbia. 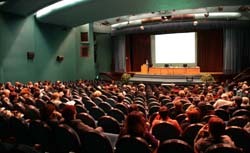 Additional plenaries such as “Big Thinking” lectures will also be held during Congress. See the Congress website for further details.